Returning to school-whether your goal is a BSN, MSN, DNP, or even a PhD-is a major decision that involves a great deal of thinking. There's never been a better time to go back to school as programs across the country become more innovative to meet the needs of students in all types of nursing programs. Traditional in-person programs, online learning, and combination or hybrid classes are all options for you to consider. Choosing the right program is essential. You need to be prepared for the demands and rigor of a nursing curriculum before making a formal application to a program. You'll also want to make sure that the mission and philosophy of the program fit with your core values and goals for returning to school. How can you make the best choice for you? This year, in the Education Extra column, we'll explore going back to school for a BSN, MSN, DNP, and PhD in nursing. But first, let's kick things off with some helpful tips to consider when making the decision to return to school. 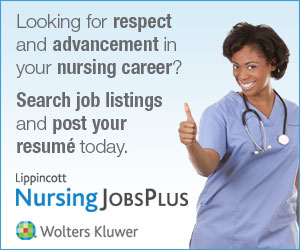 Historically, there have been several points of entry into the nursing field: LPN (a three-semester program), a diploma (typically 2 years at a hospital-based program), the associate degree (2 to 2.5 years at either a technical school or community college), and the BSN (4 years at a college or university). Of these entry points, diploma programs are becoming rarer as the push for the BSN to be the minimum required educational level to practice nursing continues. There are LPN-BSN and RN-BSN programs, as well as new articulation models for returning to school at various points of entry. Advanced practice career mobility invites more pathways for degree options. MSN NP tracks offer a variety of specialty areas. The terminal nursing degrees-the DNP and PhD-are available traditionally and through online programs. There are also MSN-DNP and MSN-PhD programs. Future columns will discuss the options for returning to school at the bachelors, masters, and doctoral level. In the landmark 2010 report "The Future of Nursing: Leading Change, Advancing Health," the Institute of Medicine highly encouraged that nurses "practice to the full extent of their education and training, and achieve higher levels of education so that the career can transition into full partners with physicians." This report also recommended that a minimum of 80% of RNs hold a BSN by 2020. There's evidence that identifying the BSN as the minimum degree to practice nursing is being pursued as state boards of nursing affirm this standard. If you don't have your BSN, you may want to consider this movement when choosing a program of study. Although the decision to advance your current educational level by receiving your BSN can be daunting, the importance of achieving the 4-year degree can't be underestimated. There are multiple studies that have demonstrated enhanced quality of care supported by improved patient outcomes for those facilities that have a majority of BSN-prepared nurses providing care. Many doors can be opened after you receive your BSN-from increased responsibility to leadership positions and varied job types. Advancing your education brings with it the increased potential to contribute to the profession, as well as self-actualization. Consider your options, make an informed decision about the particular program, and ensure that you have adequate support systems before you enter the doors of your next classroom. And remember to keep updated on career path requirements as you make decisions that impact both career and life situations. Economic considerations are one area in the decision tree to consider. Nursing programs are expensive, but a worthwhile investment. Getting your return on investment with the program you choose is yet another area to think about. Ask yourself, what are the job possibilities with the particular degree that I'm thinking of pursuing? How long is the course of study based on my proposed career path? Which type of postsecondary education facility will be most appropriate? These are all relevant questions to ask when considering your future. If you're a "nontraditional" student, there are potentially more questions to ask yourself based on your previous work and life experiences. These may include: How can I build on my current career by adding additional education? Am I going to consider a completely different career path? How much, if any, of my previous education is transferrable to my proposed educational plan for the career shift? How can I accomplish the educational requirements based on my current life situation (debt, family, current employer)? These are all common questions for students considering a return to school. Get help with the answers by calling the colleges or universities you're considering and speaking with an admissions counselor, registrar, or faculty member. There may be more at stake for mature students as they consider the costs associated with education, taking into account their dependents and financial obligations. Additionally, mature students may have difficulty with life-school balance. The demands placed on the student, both at home and school, can be extremely burdensome. The support of family, friends, and employers is vital. The nontraditional student must be prepared and ensure that support systems are in place before commencing the pursuit of advanced education. If you're an RN who holds a diploma or associate degree, you may be faced with a multitude of questions regarding whether to pursue advanced education. Some commonly asked questions include: Am I too old? What do I gain? Can I do it while continuing to work? Will my current employer support my educational efforts? Do I have the required family and financial support? Some of these questions can only be answered by you. However, there's no age limit for returning to school. Benefits of furthering your education include feelings of increased accomplishment; acquiring additional skills and knowledge to care for patients as they become more complex and challenging; increased job opportunities, including leadership positions; and, in some locations, increased wage differentials. Attend open houses so you can find the program that's the best fit for you. Schedule a telephone conference to speak with advisors about the programs you're interested in. Examine program websites for details about admission criteria, deadlines, accreditation status, and costs (see Is the program accredited?). Many schools offer grants and scholarships to applicants; your organization may also offer tuition reimbursement. Be selective and prudent with your search. What learning style is right for me? Keep in mind that the program you choose is an investment. Traditional programs have many pros for student learning. Some students enjoy meeting with faculty each week and learning in the classroom. The in-person interaction with faculty members can be rewarding for the student and reduce anxiety associated with learning. Technology is an increasingly large part of the learning process today. Some in-person classes require the student to participate in an online component through the college or university's web platforms. This hybrid learning style allows students to communicate with faculty members through the online system or on campus during office hours. Online programs offer greater flexibility, allowing the student to attend classes from any location at any time. Autonomy is also a benefit for some students. Faculty members communicate via online chats or live sessions while you take the class independently. The rigor of an online program can be just as difficult as a traditional program; students are expected to spend 3 hours studying for every 1-credit class. When considering an online program, ask yourself if you're disciplined and organized enough to keep track of assignments, discussion postings, and submissions for papers and projects. Failure to do so may be problematic for the learner. Another area that can be problematic is technology failure. You may experience a system failure at home with your Internet, cable, or network provider. A back-up system should be considered. Lastly, remember that face-to-face communication is absent most of the time. You'll need to determine whether this learning style suits your needs. Choose the program that works best for your life so you can maintain a healthy balance and be successful. Your future awaits! Next issue, we'll take a look at returning to school for a BSN. Most nursing programs are accredited by either the Accreditation Commission for Education in Nursing (ACEN) or the Commission on Collegiate Nursing Education (CCNE). These organizations perform accreditation reviews to ensure credibility and standards. The ACEN accredits LPN, associate degree, BSN, MSN, and doctoral level programs. The CCNE accredits BSN to doctorate level programs. Currently forming is the National League for Nursing's Commission for Nursing Education Accreditation, or CNEA, which will be another accreditation option for various programs in the near future. Consider investigating if the programs you're interested in are accredited. Attending a program that's accredited provides the student with the benchmarks of the highest standards and program outcomes. Accreditation demonstrates excellence in teaching and learning, whether in a traditional program or online.